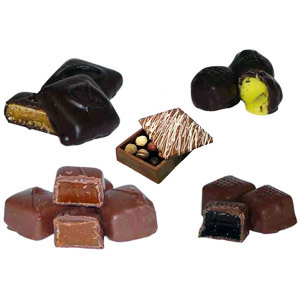 Azalea is based in the centre of Aberdeen and delivers to both the city and most parts of the Aberdeenshire. 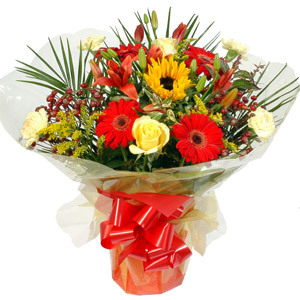 We have been trading for over 20 years and specialise in all aspects of floristry. 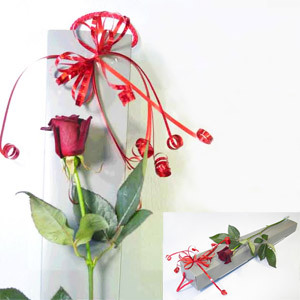 Our florist provides a creative and passionate approach to floristry at excellent prices. 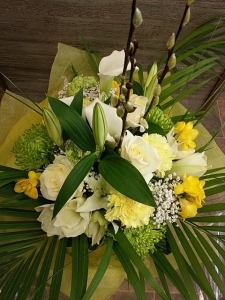 Delivered locally on time and a lovely bright bouquet, well received, thank you! Good quality flowers very well displayed. 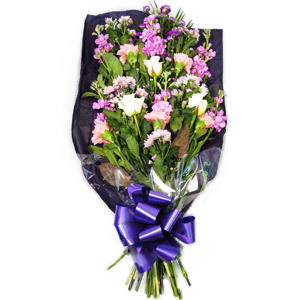 Absolutely stunning flowers and superfast delivery. Would definitely use again. The flowers delivered were extremely fresh and, even better than the catalogue photo portrayed! Mrs Duncan was ?? ?Well Chuffed???! I was very pleased with the lovely arrangement which mas made according to instructions and arrived on time. Only small negative point was that I requested a clear plastic spike for the card and a green one was provided. Lovely basket delivered on time. Beautiful, was for my daughter's birthday ???? Beautiful flowers as always from Azalea. Flowers beautiful. Recipient delighted. Would definitely recommend Azalea. My Mum was absolutely delighted with her bouquet, her friends said it was the nicest flower arrangement they had seen in ages. I would definitely use you again. A birthday gift which recipient said was simply stunning - the best flowers they have ever received. Beautiful flowers as always, highly recommended. Great service as always. Thank you. beautifully arranged flowers arrived exactly when we requested . would certainly order from this florist again. Thank you for qualitative service and quick delivery. My wife is happy, she said that flowers are fantastic! Beautiful wreath, service very good. I did not see the arrangement but I recieved an email to say it was lovely. Service excellent - only downside it was delivered a day too early from the date requested. They looked lovely on the website and as this florist was recommended I&rsquo;m assuming they were!! The flowers where very well done and matched everything we asked for . Arrived on time. Reality was a good representation of item chosen online. 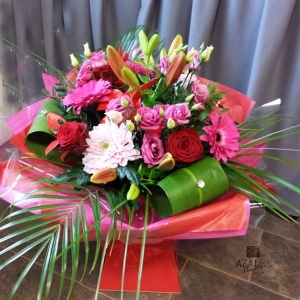 First class service, I placed my order Sunday night and the flowers were delivered by 10.00 am on Monday, have Azalea Aberdeen for many years and always had first class service..
Great service, I will be back for more. keep up good work guys! Beautiful fresh long lasting flowers, great value but also quality loved that the Gerberas were wired and didn't droop like I have received from other florists. Absolutely beautiful flowers, delivered on time & our friends loved them. Flowers were beautiful. Thank you. Azalea is was fabulous! I ordered flowers for a funeral, but need to checking timings and had a last minute change to the message on the card - they were really quick to reply and so helpful. The flower arrangement was just as shown on the website, and a number of people said they were the nicest flowers presented. Really happy with product and service, would definitely use Azalea again and highly recommend them! The most amazing arrangement. My friend loved it Have never been disappointed by flowers from Azalea, in fact they always been more than I expected ???? 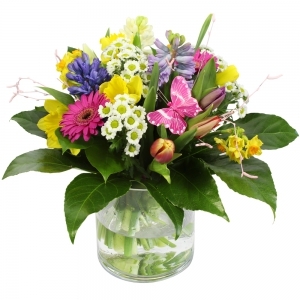 Terrific service - good delivery time and great flower arrangement. Thanks as always! I have used Azalea flirist on many occasions for several years now, and have always been exceedingly delighted with their service. My children live in Australia and are constantly dissatisfied with the bouquets they send me. They are always smaller or completely different to the ones they had ordered. They now also go through Azalea because wha.t you order is always what you get and beautifully presented. Thank you Azalea. Lovely flowers but disappointed at service charge, chose Azalea as only round the corner from funeral directors, said no delivery charge but when went to pay at checkout service charge was added on . That's second time in as many weeks. Fast and efficient service. Would recommend. Very impressed with the bouquet, great design and quality! Very nice flowers and much appreciated by recipient. Thank you it was perfect. My mum was so happy thank you. Great service and brilliant flowers. All were delivered in good condition. Would use again. Flowers very fresh and very well presented as always. The best service, nice flowers ??? It was flowers for my sisters funeral so they were on the coffin and looked nice but I didn&rsquo;t really see them close up. Excellent service would definitely recommend. I live in Perth (Western Australia) and ordered flowers at 10:49am (6.49pm my time) to be delivered to my Nana in hospital. I was so surprised when my Mum confirmed they arrived at 8:45pm, less than 2 hours!! That meant I retired for my day knowing she had received them and my "thinking of you" wishes. My Nana also loved the three butterflies used for decoration as they could be removed and kept as a keepsake. Beautiful flowers as always, delivered when requested, recommended. Great service and delivery. It was a very late order and the delvery was still met. Azalea will always be my first choice. Great service delivered on time just what I wanted and called to correct something on card message I hadn?? ?t noticed thank you will recommend and use again . Delighted with service and will use Azalea again. Would have been excellent but delivery was made in the morning when I had requested afternoon!! 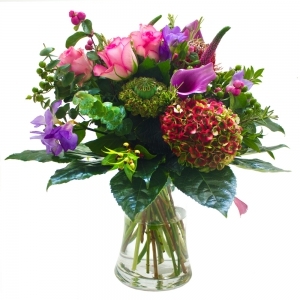 Beautifully fresh cut flowers, exquisitely presented in a lovely vase. Brilliant. Very pleased with funeral order they were better than expected and beautifully made would definitely use again and recommend the florist to friends and family ,thanks for the lovely display . Azalea provides excellent service and beautiful flowers every single time! I am from Canada and every time I order from this florist, I receive wonderful compliments about their flowers from my family in Aberdeen. I am extremely satisfied ordering from Azalea and highly recommend them. The flowers I ordered were delivered the next day as requested. They were absolutely gorgeous. I was delighted with the quality &amp; quantity of flowers. Would definitely recommend this florist. 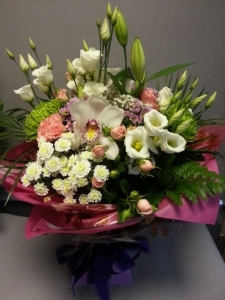 : ) Thank you very much for the beautiful bouquet for my daughters birthday. Beautiful flowers very much appreciated. Haven't seen the flowers myself but my mother said they are beautiful, so as far as I'm concerned that's what matters! Beautiful flower arrangement, recipient was delighted. Great service. Ordered online simple and easy to use website -placed my order around 10 am and requested an am delivery or before 2pm. Lovely selection of flowers. <br/>Very impressed by quick delivery and beautiful new baby girl flowers -absolutely delighted with them. Will definitely use Azalea Aberdeen again. 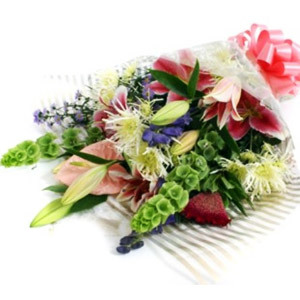 The transaction was very straightforward on line and the flowers were delivered promptly the following day as requested. 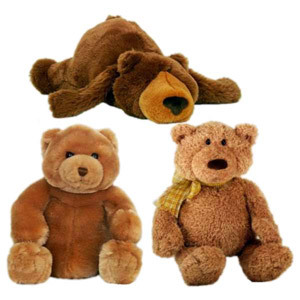 The person they were sent to was delighted with them, sent me a picture, and were exactly what I had ordered. Couldn't ask for better than that. Many thanks for the service. Excellent, same day delivery and the flowers were beautiful! Brilliant service, rang to confirm where house was within the postcode and bouquet delivered in less than 2 hours! The recipients were very happy with the flower delivery. The Lady to whom the flowers were sent, contacted us later around five o'clock to say thank you for the beautiful flowers, they were lovely. Excellent Service - Excellent flowers ! 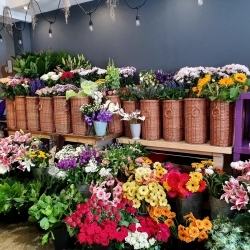 Fantastic, fantastic, fantastic, great florist with exceptional floral displays and reasonably priced. Would definitely recommend this florist to others. Simple process, clear website, easy payment collection. Beautiful fresh flowers. Definitely recommend. Very happy with flowers. Have used your services before and will again. Lovely floral tribute. My wife said the bouquet I ordered was beautiful.. She works in a reception and has commented on the quality and beauty of flowers being delivered to her school by Azalia..
Lovely colours - my mother in law loved the flowers !!! 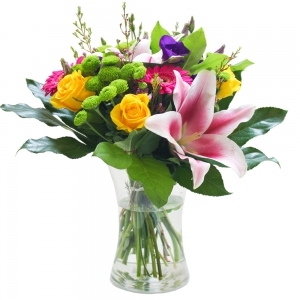 Beautiful flowers in a lovely vase with prompt delivery. A very professional service which I will use again. Fantastic service.. Even when I mixed up the delivery address.. Flowers were beautiful as always! The flowers I ordered for my daughter's birthday were beautiful and delivery was perfect. Thanks for helping me celebrate her from the U.S.! 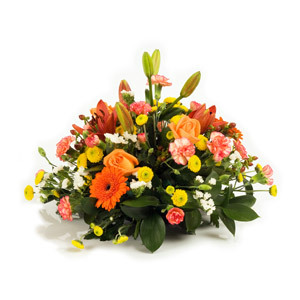 We ordered funeral flowers. They were exactly as the photograph depicted and were really lovely and reasonably priced. 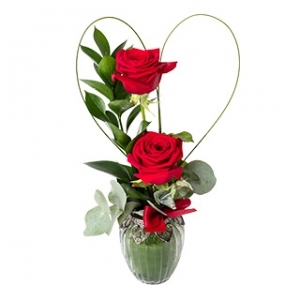 We were very happy with them and would definitely use Azalea Florists again. Very happy with the service & the arrangement was beautiful & much larger than I expected ! Thanks ! I will definitely use this service again. Was very pleased with service and flowers got delivered when I asked. Thankyou. 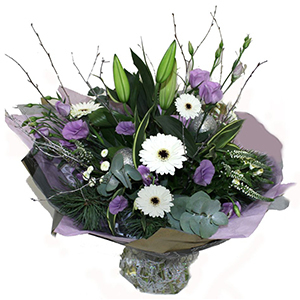 Flowers are stunning, prompt delivery and very friendly staff. Thank you! Excellent service, beautiful flowers and prompt delivery. Product good quality and as described. It was a gift for a relative in hospital on her birthday so I did not see it. 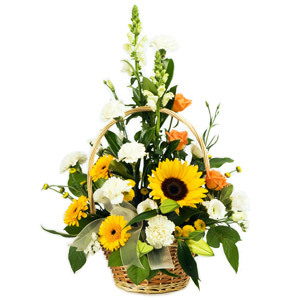 She was very pleased and put the arrangement in the Day room for others to share her joy. 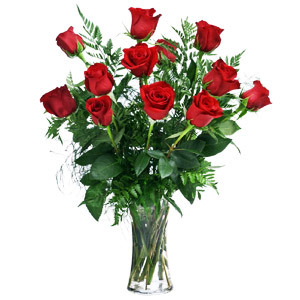 Fast efficient service, beautiful flowers. Very helpful and accommodating ! Quick service and lovely flowers Thankyou !! Wonderfull flowers yet again, delivered when requested, highly recomended. 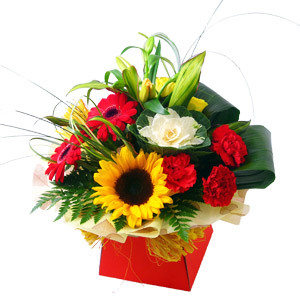 Excellent service, very efficient , good value,flowers beautifully presented. <br/>Highly recommended, will definitely use again. Great choice of product through photos, immediate communication and delivery was right in target. Thank you so much. Another first rate service from Azalea ,second time I've ordered from them exception after care and attention. Funeral arrangement that looked great. Many thanks. Quickly responded to my question. The flowers were beautiful. Exactly what I wanted. Beautiful flowers delivered today for my sister in law. Will be using this florist again for sure. The recipient was extremely pleased with the delivery and the care and detail shown in the floral display which was a Christmas table decoration which included beautiful natural festive features. 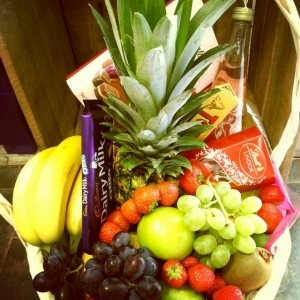 my mum was delighted with her fruit basket. Excellent service, delivered when requested and the flowers were well received. see above note. Fabulous arrangement of flowers. My aunt and uncle loved it. Beautiful fresh flowers, expertly arranged as usual...a first class florist! Fabulous - absolutely beautiful flowers!! I have used this florist several times and my other half is never disappointed. Very nice work by them and would recommend. Very accommodating. They must have tried to deliver atleast 3 times before they call the person who was supposed to get the flowers. I also spoke to them a couple of times during the day. After delivery fo the flowers I got feedback on the e-mail followed by a phone call to let me know that the flowers have been delivered. they looked just like the photo on the website too! The flowers were beautiful. We are extremely happy with them. Thank you very much. You have been highly recommended to friends and family. Wonderful service and beautiful flowers! She was pleased with the flowers. Haven't seen the pictures yet, but my step-mom was thrilled. The bouquet was delivered timely (even though I ordered after the shop had closed the night before) and it was beautiful! The pictures sent to me by the recipient showed a nicer bouquet than was advertised with the unique blooms from the bouquet requested. Will definitely use Azalea again! Prompt efficient service and flowers were beautiful!! Have used Azalea many times before - always provide an excellent arrangement. 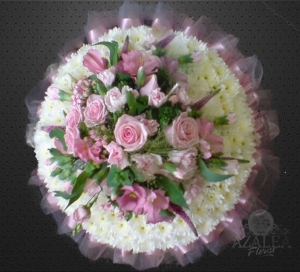 My mum loved the flowers, she has used this florist before for funeral flowers and was delighted with them. 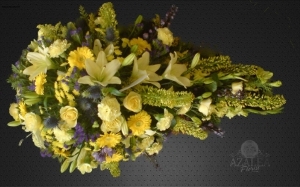 I used Azalea Aberdeen in April and June for my sosters Funeral and Memorial services. Everythong was superb. I will always use Azalea in the future. Delivery exactly as requested and recipient said flowers were gorgeous. 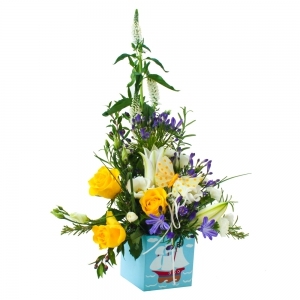 Extras such as Gold ribbon, gold embellishment on the leaves and gold container made the arrangement very special. The bouquet I chose was a surprise for my brother and his new fianc&eacute; for their engagement. It was even more beautiful that the pictures on the website. Really pleased with the presentation. Easy to order online, no hidden information and arrived on time. Absolutely reliable, including an excellent service. I wish all my business partners were like this. Totally recommendable. 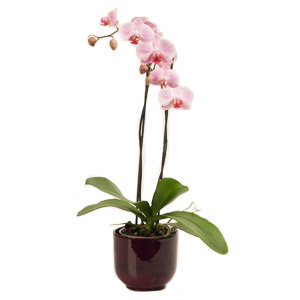 Beautiful flowers, amazing value for money. My wife said they were the beautiful Roses she had ever seen. Many thanks Azalea for helping to make her happy. i trusted the florist to choose their best blooms and was not disappointed. My friend said they were by far the most beautiful flowers she had ever received. Well done Azalea you are to be highly recommended to all. From one very satisfied and happy customer. My aunt was delighted with her orchid and said it was just beautiful. Best florist in Aberdeen would highly recommend. 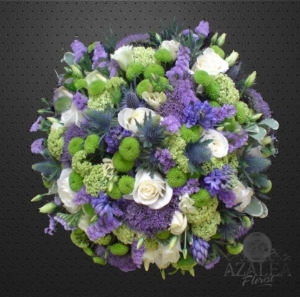 100% happy and will now always use Ola at Azalia Florists of Aberdeen in the future. I have been told that the delivered flowers are beautiful. I am very pleased with the service. Many thanks. Exactly as shown on web page,fresh and fragrant! 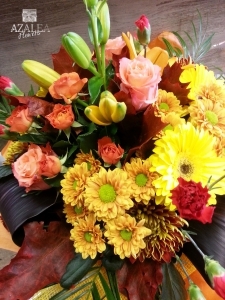 Wow, what beautiful flowers and a very quick delivery service. Ordered 8am and delivered by 11am. Thank you so much! Just delighted! Could not have been more helpful at this difficult time. Have Used before and will certainly recommend to friends and family. Excellent florist. Very impressed by the bouquet recieved. First class!! My mum was delighted with her flowers, the order was delivered within the requested delivery time. 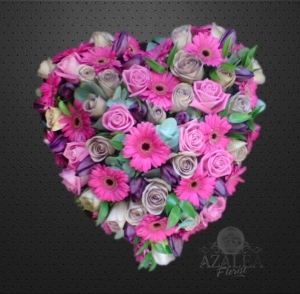 I myself was very pleased to find Azalea" on Direct2Florist's website as I now live in Australia, but I had the pleasure of using Azalea for my wedding flowers 20 years ago. I will be very happy to order all my future flower requirements in the future with Azalea. Thanks very much for making my mums day with the bouquet." This loosely arranged heart-shaped cushion is featuring gerberas and roses with a selection of seasonal flowers and foliage. Approximate sizes 13", 16", 19" across. 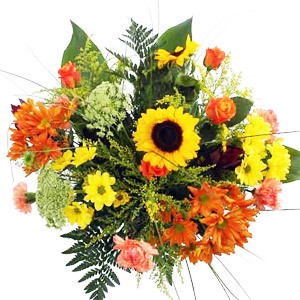 This is the Bronze and Yellow Hand Tied Bouquet in Water which consists of Yellow Gerbera, Asiatic Orange Lily, Spray Carnations, bronze chrysanths and dark black Cordyline Leaf put together in double orange cellophane gift wrapping. 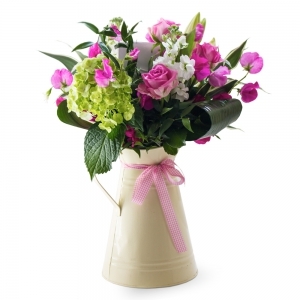 A delicate country style single ended spray, with roses, lilies, carnations and thistles. 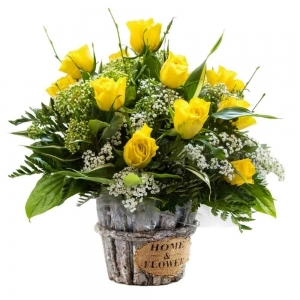 A beautiful selection of seasonal flowers in white and yellow, arranged in water. 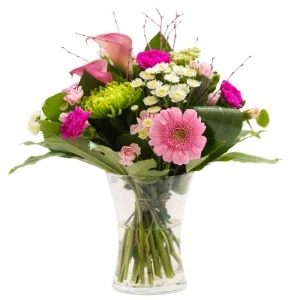 Delight Bouquet is a hand tied bouquet designed with beautiful flowers in pinks, lime and white and includes roses, lisianthus, fragrant oriental lilly, gerbera and chrysanthemums.